You’ve heard of co-working spaces, but the trend now is co-studying spaces that offer amenities. Studying with friends got a whole lot cooler and fun thanks to Openhouse, a colourful co-learning space down Shakespeare Sarani. 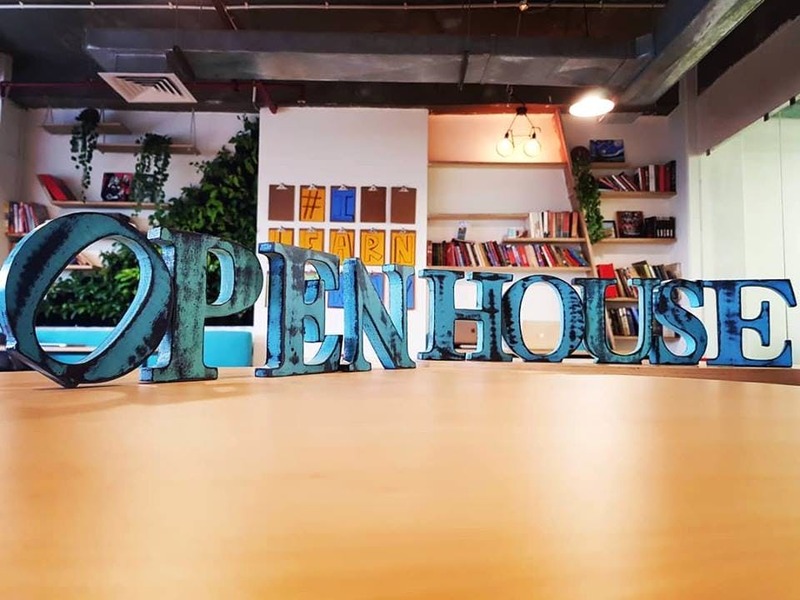 An initiative by Stanford University graduates - Openhouse is a co-learning space where some of Kolkata's best teachers host classes for all age groups. Go up to the 7th floor of AC Market in Shakespeare Sarani, and you will enter the space. At first glance, it seems like a hipster library. Think a short, wide set of stairs by the window where you can sit back and study, or small colourful round tables with movable white boards for group study sessions. The prettiest are the classrooms – therein lies the charm of Openhouse. The geometry in the way they have designed their classrooms is fascinating – the tables are angled such that every student can see each other and the teacher. The most interesting part is that everyone can be a teacher here, so say if you want to take a small class with your college juniors, you can rent one of the rooms in Openhouse and invite all of your students in! The pricing scheme is pretty conducive for teachers who are just starting off – instead of a fixed fee, the space rent comes for a percentage of the amount you charge your students and the number of students who turn up. Pretty awesome, right? We personally loved the small cafeteria, it has a vending machine and a coffee maker. Perfect for a small break after a class, amirite? The classrooms are tiny. But since they look like they are right out of a Wes Anderson film with pastel colored interiors (and they have graffiti), we ain't complaining. They host a variety of classes and workshops ranging from Zumba to French to economics to theatre! When you have nothing to do on the weekends, you can just sign up and walk into one of these classes.